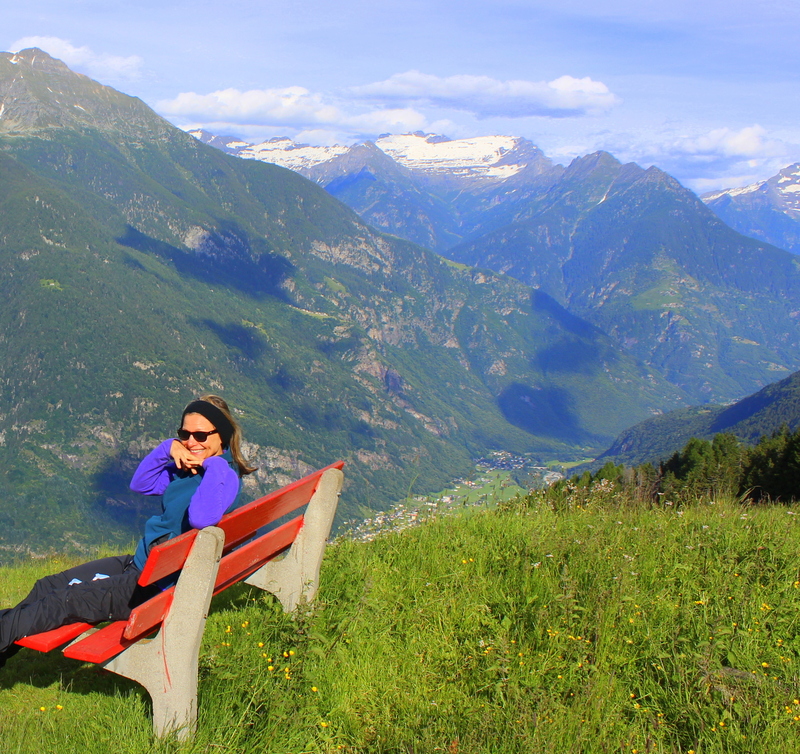 If we’ve been on this journey together for any time at all, you know this about me: I travel. A lot. I figure someone’s got to demonstrate how you can eat and live plant-based – in glorious fashion – and stay active anywhere in the world. So I volunteered for the job. We arrived in Florence, Italy three weeks ago and have journeyed to the hill towns of Tuscany, on to the Apuani Alps, and then migrated north to where we are now, high in the Swiss Alps, staying in a rustici (refurbished rustic) stone cabin where we can do our favorite thing: step right from our morning java and oatmeal on the front terrace onto the mountain trail for a day of trekking. It’s here that we’ve been playing out plant-based living, and while so much of traveling plant-based has become easily automatic for me, maybe you or someone you know could use a few plant-based travel tips. Our adventure got off to a good start en route during a layover in Germany. 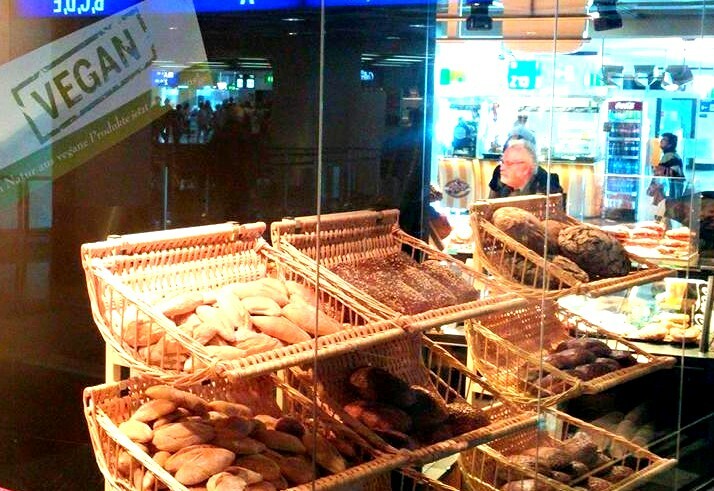 Spotting several “vegan!” signs in the Frankfurt airport was a promising sign..
I’ve been doing this travel-eat-plant-based-living thing for a few years now, so it’s become second nature, fairly easy and actually a fun, tasty adventure. If I had to drill it down to seven tips for doing the same thing yourself, here’s what it would look like. As my current travel finds me in Italy and Switzerland, that’s the culinary lens through which I’ll report to you. 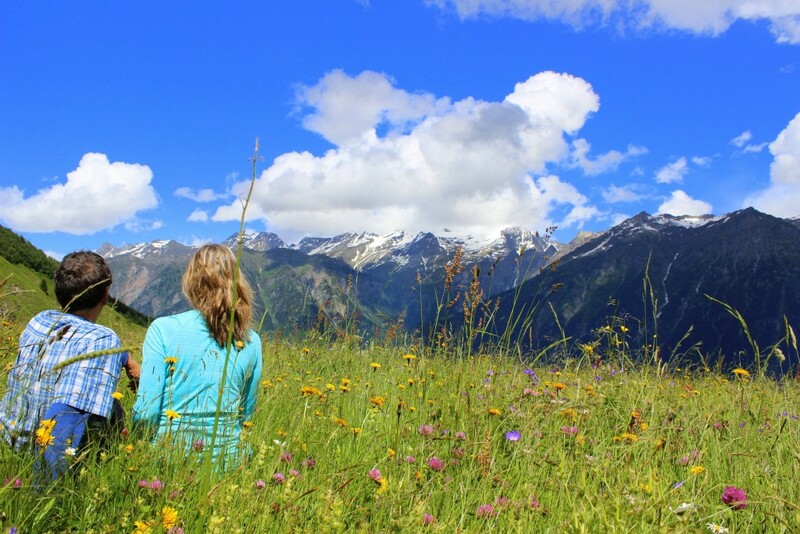 If you’re obsessed about getting in five servings of vegetables by lunch, a quart of salad at dinner every night, or feel insecure about getting by without your favorite brands, then perhaps international travel isn’t for you. But if you are ready to learn all that travel can teach you about life and living, and are willing to live a bit on the wild side and let go of some of the ‘shoulds’ and controls over every bite, then you are in for some grand adventure. Note that I said “let go”. I didn’t say “abandon”. Settle down. I’m not suggesting that you deviate from your whole-food plant- based, free of animal products food plan. 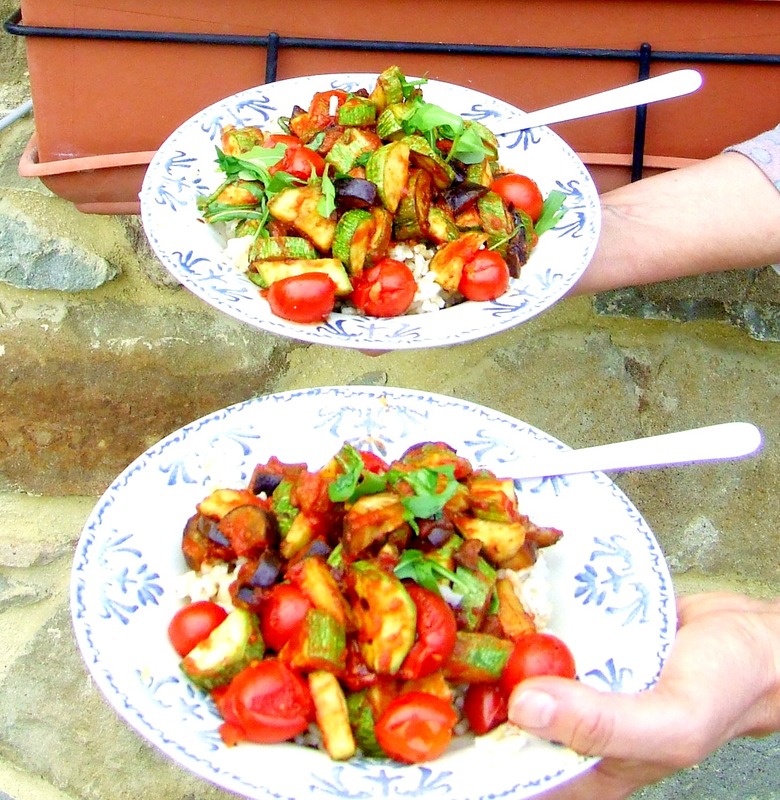 Yet within that realm – just as we were talking about in our conversation here – Which Plant-based Food Plan is Right For You? – freeing yourself from the vise grip of perfection at every eating encounter keeps you right on track without feeling like you are being railroaded. Your basic food plan may not markably alter – it just might come in a different outfit. For example, here’s how our meals looked today: Breakfast: a bowl of oatmeal with the last four peaches from the market, a splash of soy milk, a slice of dark brown whole grain bread with peanut butter and cherry jam. Lunch on the trail? Slices of tomatoes and onions on whole wheat with mustard, and three big carrots for each of us that I rinsed and packed for the trail (salad) and apples. Dinner? I cooked a bag of bulgar (easiest grain in the world to cook, pour boiling water over it and let it sit a couple of hours), quickly sliced and steamed an eggplant, tossed salad greens from a bag into a bowl, scooped ceci beans (garbanzos) from a can over the top and seasoned it with balsamic vinegar and a shake of nutritional yeast (brought from home). 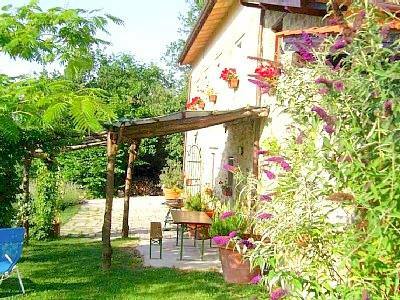 After three days in an apartment in Florence, La Spinosa in the hills of Tuscany was home for a week. My kitchen was right inside the front door. The fare was simple, and so easy to prepare. I don’t worry about counting servings of vegetables, starchies, or fruits. It’s a great way to free-wheel eats outside of the usual structure. By way of comparison, at home, my breakfast would look about the same. Lunch would be either a more elaborate salad or soup with multiple vegetables and beans that I’d make in the pressure cooker. For dinner at home, I’d probably prepare another vegetable to put in a sauce or serve on side. 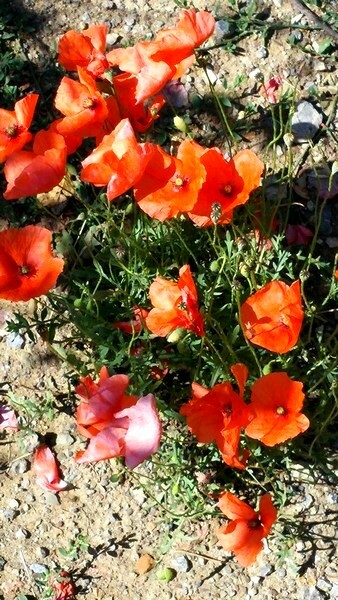 But this also goes to show you needn’t to get that fancy at home, either. It’s what you eat over the course of a few days that matters when it comes to getting variety. 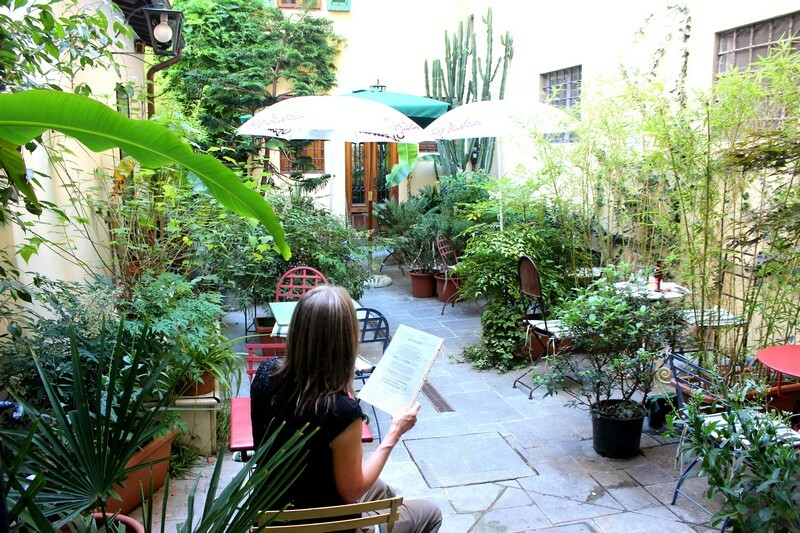 When traveling, it’s simply a matter of locating markets, making a list of some basics – and hoping you get a match or something close to it – and go! My Italy market list included basic veggies: zucchini, eggplant, onion, tomatoes, carrots, potatoes, avocados – and any other local vegetables that looked interesting. Bags of greens: mixed summer, arugula, and big bags of spinach. Also on my list: apples, cherries, any other seasonal fruit; brown rice, bulgar, couscous, lentils, zuppa primavera (lentil/barley/bean soup mix), pasta. Cans of ceci (garbanzo) beans. 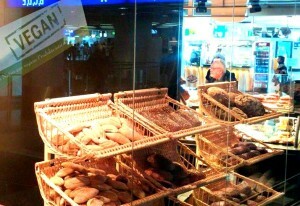 Whole grain bread (pane integrale con sale! ), dark pumpernickel, mustard, olives, balsamic vinegar, jars of pomodora con pulpa (tomato sauce with pulp, perfect for pasta sauce or steamed squash and eggplant), jam, muesli or oatmeal, plant milk (we now find this everywhere!). This is pretty much my international list – I’ll start with more or less the same thing for Mexico, Costa Rica, Panama, Bali – with local twists, such as the zuppa primavera mix in Italy. Tomato paste in a tube? Do we have this back home and I’ve just been missing it? Open-minded grocery shopping also invites possibility. 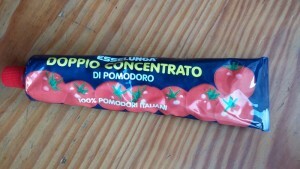 We’ve been to Italy several times, but this is the first time I’ve encountered tomato paste in a tube. Is it that I’m just unaware, or do we have this in the U.S.? My experience with those tiny cans of tomato paste we have back home is dismal – they are so skinny it’s hard to dig out the contents, and most of the time I only seem to need a tablespoon or two anyway, and the leftovers end up growing fuzz in the leftover container in the fridge before I can get to it. This toothpaste tube design is genius. I stocked up. I am not a shopper and don’t usually bring trinkets and items back home with me, but a food item like this is an exception. 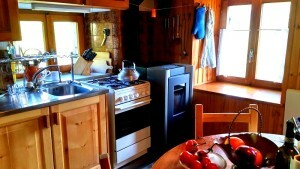 On most of our travel adventures, we rent a home so that we have our own kitchen so I can cook. I’ve made do with some pretty rustic, bare-bones basics. I do travel with my own lightweight chopping knife and vegetable peeler because they can make things a whole lot easier – though sometimes the house at which we are staying has a good sharp veggie knife, and if we’re really lucky, and good bread knife too. On this particular trip I have only pulled my chopper out a couple of times, so it’s been a good run. My kitchen in Switzerland. No counter space, and the plates and utensils were all the way on the other side of the room, but I had a good collection of knives and pots. And the view wasn’t too bad either. 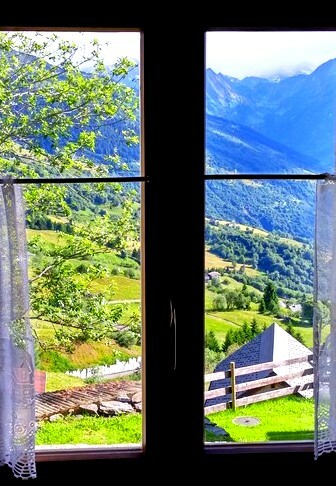 The view out the window from my kitchen at Casa Heidi. I do without my pressure cooker, rice cooker, big java mug (sometimes we get lucky there), good cookware, strainers and stirrers that are usually attached to my hip. Though it can be frustrating, there’s also something quite liberating about having only a small collection of items to choose from with which to prepare food. Forced minimalism. Though the cook can get cranky and her language colorful (! ), it’s good for the soul. When globe gallivanting, I will eat the occasional bowl of white pasta, white rice, and even (gasp!) white bread. Who cares? As long as most of what you consume is minimally processed, no damage is done. I draw the line at animal products and keep my cooking oil-free while traveling, just as at home. I’m not going to not go on that African safari, or the ten day trip on the boat off the coast of Bali, or the one-week sea turtle conservation project on the beach in Costa Rica because I can’t get brown rice instead of white. I know I can usually get a bowl of wholegrains for breakfast, plenty of plain salad to dress as I want, a variety of fruit, and lots of other vegetables to go around. This is one of the nuances of travel that they don’ tell you about. All the focus of travel and going on a trip to parts unknown, on the surface of things, is about what you’ll see, the sights, the scenery. While these are a sure part of the package, the even bigger wonder of travel is how your vision shifts and your perspective changes. You learn – sometimes more quickly than other times – that how you are used to seeing things isn’t universal or even the gold standard. The more you resist learning this, the more the travel shoe pinches. Once you let go of having things as your are used to, and just the way you like them, it takes the pinch out of the travel shoe. I notice how when traveling – especially when to cultures and parts of the world completely different from what I am used to, such as Indonesia, I shift my expectation about what will happen when and what means what. I’ll tolerate inconvenience to a much greater extent than I would when back home. Not only does this enrich your experience, it enriches your life. You learn that if you can suspend expectation about this one thing – if the road sign pointing to your destination will be there or not (often not), if the train will have a working powder room – that you shift your thinking about lots of other things in your life, too. This translates to confidence in your ability to change lots of other elements of your experience. For everything from your ability to change your relationship with food, eating, and exercise to your relationship with others. Honestly. This is why they say travel is the great teacher. It’s what you learn about yourself, though you may have had to travel halfway around the world to find it. 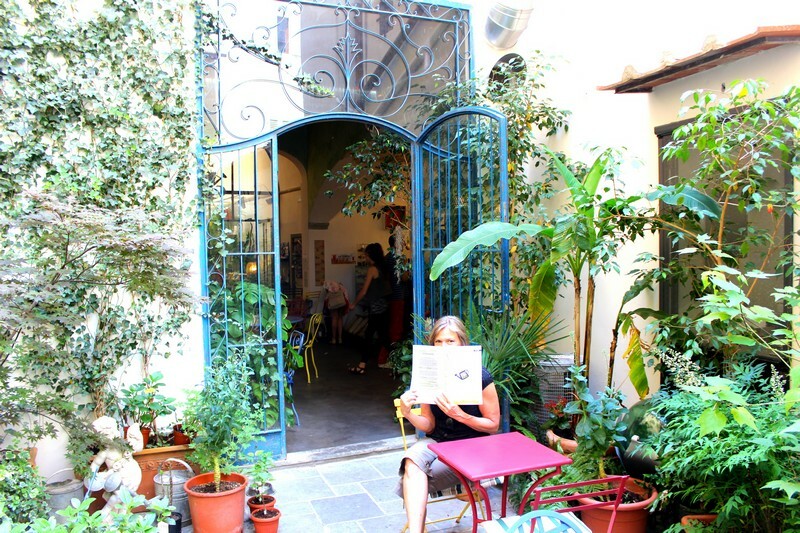 When we arrived in Florence, as we were going to be in and about in a big city, we did an online search for “Florence vegan and vegetarian restaurants” and about a dozen establishments popped up. 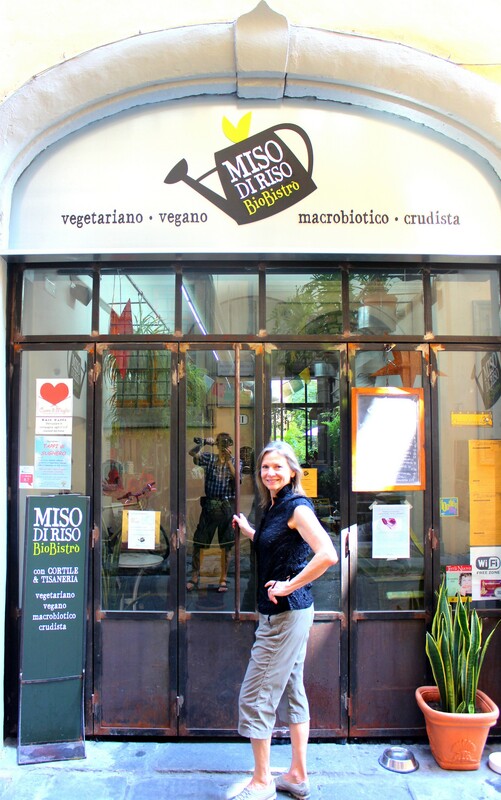 Some of these even had menus online – just like back in the U.S. We found two great spots in and around Florence, one right near the middle of the walking-only section of the city, Miso di Riso, and another at the train stop near our apartment- a pizza parlor. 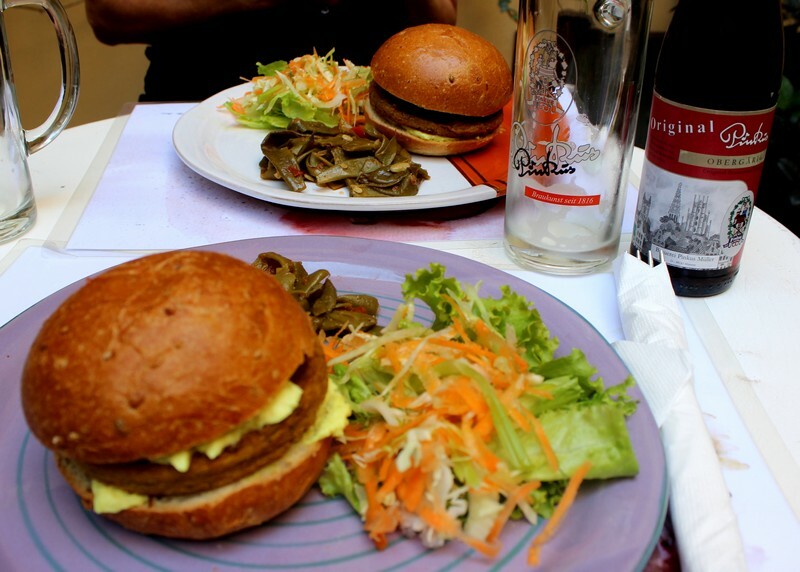 Lunch at Miso di Riso: I had the seitan burger (in back), while Greg opted for the Tofu Burger with vegan cheese. Salad and Italian green beans finished out the plate. Oh, that and whole grain buns for the burgers, baked on site. The pizza place – named Scuie! Scuie! (loosely translated as ‘hurry hurry’, as in fast food) hadn’t come up with our internet search, but as it was so convenient to our train stop and looked inviting, we decided to pop in and investigate. Lo and behold if we didn’t see a ‘vegan friendly’ sign as soon as we entered. As it turned out the owner’s daughter is vegan and he has developed a vegan mozzarella to use on his pizzas. Perfecto! 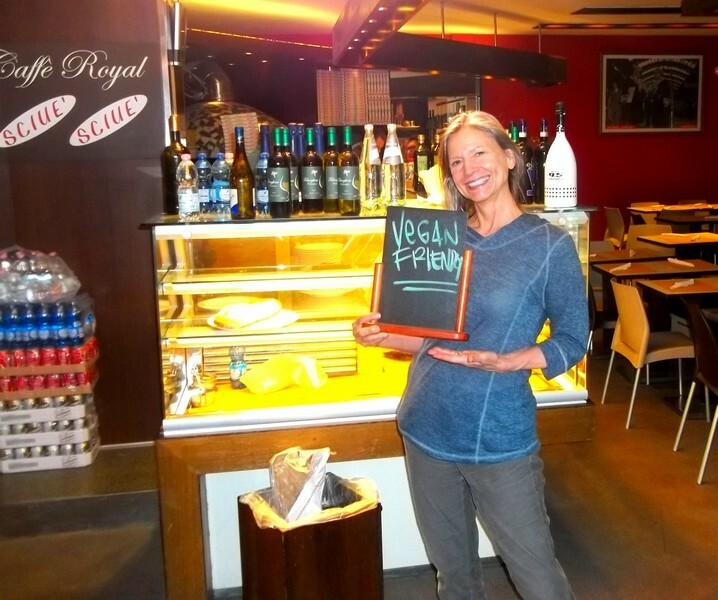 And it was actually the best vegan-cheese pizza I’ve ever had – and it came pronto – sciue sciue! Senza formaggio, “without cheese”. I’ve used this when ordering pizza, pasta, and panini (sandwiches) and can get a traditional panini with tomato, zucchini, eggplant, basil, and balsamic vinegar – “senza olio” (see below). The Italians seem to want to put cheese in everything (except the pizza, go figure) and it can take some sleuthing and persistence to get what you want. Senza carne, “without meat”. This comes in handy when asking about pasta sauce. Usually marinara is a safe bet, but I like to ask “senza carne” just to be sure. Bologna sauce is meat-based.You can also look for ‘carne’ on the labels of bottled sauce. In Italy, the best choice and what I always use is the jars of polpo pomodoro – tomato pulp. Of course it doesn’t always work out as you’d hoped. For example, on one occasion at a small hotel restaurant high in the hills above Lake Como, when ordering salad without dressing (“senza olio”), I asked for, instead, ‘balsamico on the side” . I didn’t have the Italian phrase for “on the side” but even worse, my pronunciation of “balsamico” must have been way off because the server didn’t appear to have a clue as to what I was talking about. Now, we’re in the land of balsamic vinegar so I found this a bit baffling – besides, who doesn’t serve oil and vinegar on the table? You see it all over the place here. Finally, after what appeared to be a breakthrough, the server brought us a brand new,, unopened bottle of vinegar, and from what we understood, he wanted to sell use the entire bottle. As we were flying out the next day, this wasn’t a best option so we just ate our salad plain. Oh well. New phrase to learn. When in the market, you can scan labels for animal products, but you’ll need to know the basic vocabulary: burra (butter), uovo (eggs), latte (milk), miele (honey). And just because when in Italy we’re in the land of gelati doesn’t mean you have to forego sweet treats. Many gelaterias also serve many flavors of fruit sorbetti – we had lemon, mango, and mandarin – mango was my favorite. 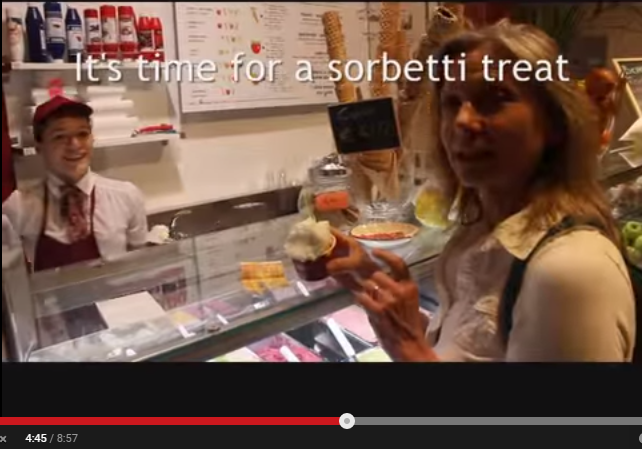 You can see our stop at the sorbetti section of a gelateria in Florence at minute 4;45 of Greg’s Florence video posted further down this page. Simply ask the gelati vendor, “Sorbetti senza latte?” and they will know exactly what you are asking for and show you the selections. 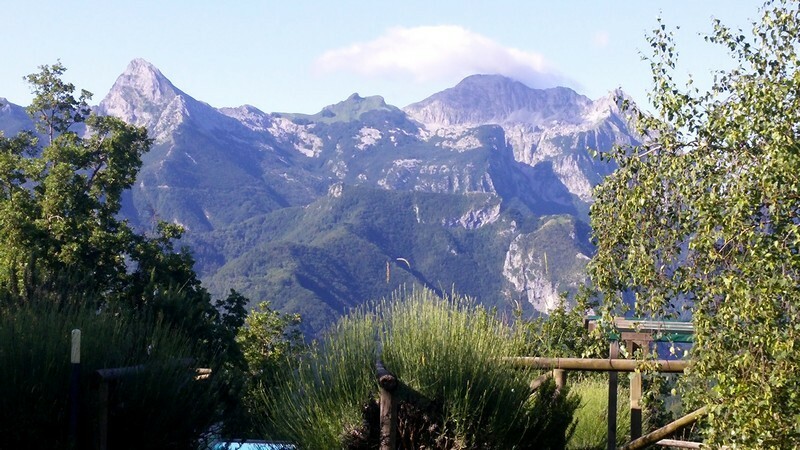 The view over the rim of my morning mug ritual – Alpi Apuane, Italy. It’s a good idea to stash some comfort basics in your luggage: a bag of rolled oats for getting started with a good breakfast at destination, your favorite tea or coffee, seasonings such as nutritional yeast, sea salt, and raw sugar Even if you don’t use them, be mindful of the comfort of your travel companions – it makes everything sweeter! I also secret away some old-fashioned peanut butter (we’ve found hard to find ‘natural’ outside of the states and it’s a staple for us)), and some dried fruit to add to the morning oats until we can stock up on fresh fruit. We’re down to the last bag of pasta, 1/3 of a purple onion, a sorry chunk of cabbage, and the errant bag of dried funghi (mushrooms) and dried tomatoes I picked up in our stroll through the street market in Florence. 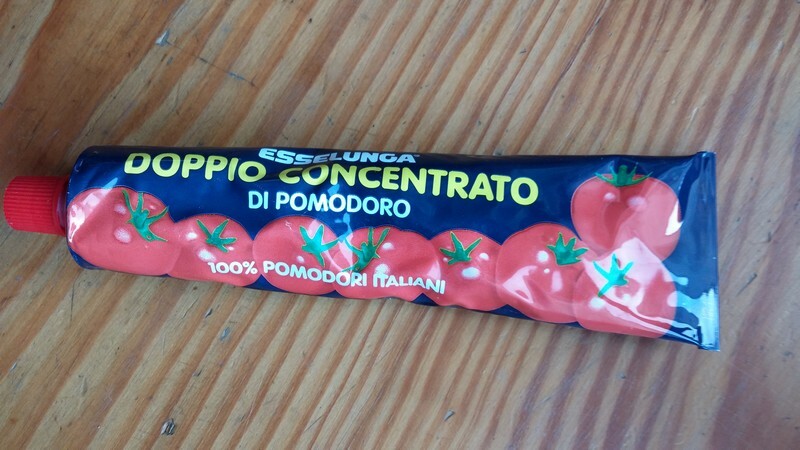 I’ve also got a tube of the dopio concentrato pomodoro. Sounds like all I need to make our last dinner before packing and heading out tomorrow. We could have ventured down to the village to scare up some more victuals, but we can’t seem to tear ourselves off this mountain and in all honesty what I’ve listed will make a fine, nutritious and deeply satisfying meal. Just in time before I clicked “publish!” – Greg just finished producing and uploading the movie he made of our first week in Italy – Florence and Tuscany, celebrating the Renaissance. I think it’s dreamy! 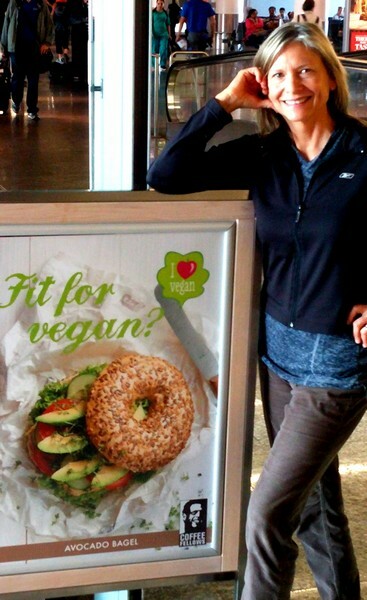 Have you an insight, revelation, or helpful tip about living and eating plant-based while traveling? Please share them in comments below this post. Enjoy your journeys – and enjoy what you eat! Lani, great to hear and see more about your travels and how you manage to make the food work. You sure make it look fun and easy! And the video is wonderful too! This is not only full of travel tips, you’ve managed to fill it with live lessons too. Very entertaining. What is that big thing in the window you are looking at? I can see something about chocolate in the sign but I’m curious! By the way, we are going to Italy next year so this will come in handy. Thanks! Karen, thanks! You are going next year? Excellent! Have you been before? You’ll have to add to my tips list when you get back! Can’t wait to hear about your trip. Love Italy. Love good food. Great job of putting them together. Nice post. I’m traveling in Asia now…and having fun in the local markets and cooking at my rented apt. BTW…you can get the tomato paste in a tube at many stores…including Whole Foods. Christine, you must tell me more about your travels – where in Asia! Or are you going all over the place there and “Asia” means lots of places there? Would love to hear more about it. And on the tomato paste, really? Well, I’ll be darned! This article could not have come at a better time. It seems that when I am concerned about something and put it out into the universe, I am served.I have been worrying like crazy about my upcoming trip to Iceland for two weeks. We are in hotels the whole time traveling around the whole ring road where they don’t see many tourists. From what I am reading, vegetables are few and far between and everything is predominately fish. I thought of taking some oatmeal and beans with me but can’t think of anything else. Any suggestions? It would be helpful as I have another trip to Papua New Guinea (all hotels)next year and I need to figure this out. Lani, well, we must not only have the same name but be on the same wavelenght. Iceland? Now, there’s a new one. Haven’t been and it doesn’t conjure up images of fruits, veggies, and leafy things. Oatmeal and beans a good start, and YES I have a couple of suggestions. Take some dried vegetables – the mushrooms and tomatoes I mention would be a start but you can also get other dried veggies in the marketplace. Also, I’ve found if you don’t think you’ll have access to much fresh salad, take lentils and sprout them in your room! You can soak them for 24 hours or more, then keep rinsing and in 3 – 4 days you’ll have young sprouts. Now, this does mean you’ll have to get creative with a bowl. You can do it without a strainer, just rinse a couple of times a day so that it doesn’t sit in water. A few years ago when we traveled to the Turks and Caicos, I ordered a supply of dried veggies from Rainy Day Foods. They even have dried broccoli! Maybe some solutions? Take some dried fruit as well, if you think fruit might be slim pickins. We were in West Papua New Guinea in April and there were veggies and fruits all over the place. Indonesia is rich in veggies, it was easy to eat vegan AND Indonesia is where tempeh was born – we had lots of tofu and tempeh, if you like those – and they were really, really good – better than the tempeh I can get in the states, that’s for sure! this is my tip about tomato paste. I open the can and measure out 1 tablespoon portions which I put on parchment paper. Then I freeze them. When I need a tablespoon or 2 I just get it out of the freezer. No more moldy cans of tomato paste in the fridge. Marge, brilliant! Now why didn’t I think of that? I’m sure you’ve helped more than just me today with this simple tip. Thank you so much for taking the time to share! we leave July 1 so your timing is perfect! Barbara – yay! So glad this found you in time before you leave! Have a wonderful adventure and I can’t wait to hear about your Italian travels! Be sure to tell me all about it when you get back. Yes, we do have tomatoe paste in a tube here in the states, I’ve used it for years. But sometimes I’ll still buy the little cans when they are a good deal. But here’s my tricks for it. Once I use what I need for my recipe, I then use an iced tea spoon (long and skinny) to pull all the paste out. Then I measure the paste in 1 TB measurements. Place on a small piece of waxed paper and place in the freezer for about 2 hours. Once frozen, I add to my ziplock bag of 1 TB measured paste drops. When cooking something and I want a bit of tomato punch, I add a TB drop of frozen paste right to the simmering soup or chili! Tammy, what an excellent plan and thanks for the tip! Guess I’m the last person on the planet to know you can get tomato paste anywhere else than a can! Julianne, it gives me great pleasure to her that perhaps this article has helped freed up some space and delivered some freedom, period. Thank you for tellimg me your thoughts! Now, as for the paste – apparently everyone but me has known about tomato paste in a tube! And I’m glad to hear about the Bionature brand, too. But you raise an interesting question – what is your salad dressing recipe? 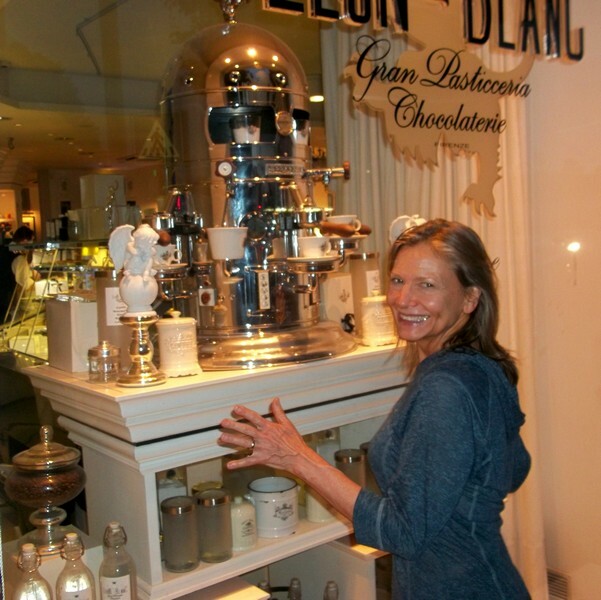 If it’s recipe you’d like to share, it might be fun to pring right here on the Journey blog. What do you say? Lani – Sure thing! The basic idea is to blend tomato paste and balsamic or another flavored vinegar up with spices, and nuts/seeds as desired. For a low-fat version, try experimenting with cannellini beans instead of the nuts. Here is Dr. Fuhrman’s Thousand Island Dressing recipe. In a food processor or high-powered blender, blend together the nuts, milk, vinegar, lemon juice, dill, onion powder, garlic, tomato paste and half of the cucumber until smooth. Remove from blender. Finely chop remainder of cucumber, combine with onions, and fold into the dip. Serve, or refrigerate in an airtight container for up to 4 days. This looks great Julianne! Thanks for posting the recipe. 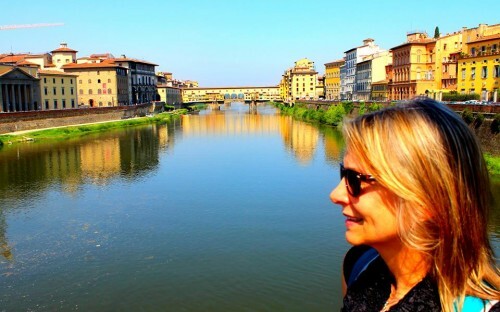 I just posted your husband’s charming video of Florence on FBk – it made me ready to pack and go back! I don’t know why, but after enjoying all that fresh local produce, whole grains/beans eaten on my trip through Italy this spring, I returned home and adopted a whole plant based food lifestyle! I love your blog, travel tips, and can’t wait for the book to launch! Thank you for what you are bringing to our community!